Pelican on Pier for Gypsy Miniature Fairy Gardens. 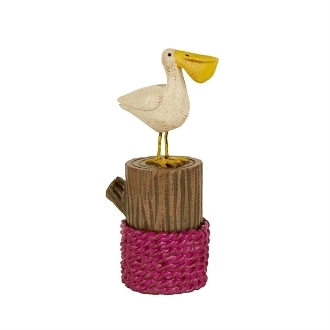 Full Description: This perched pelican is the perfect addition to a coastal-themed mini garden! Designed by Genevieve Gail, this piece features all-weather paint.